SFC Farmers' Market East Opens Today! 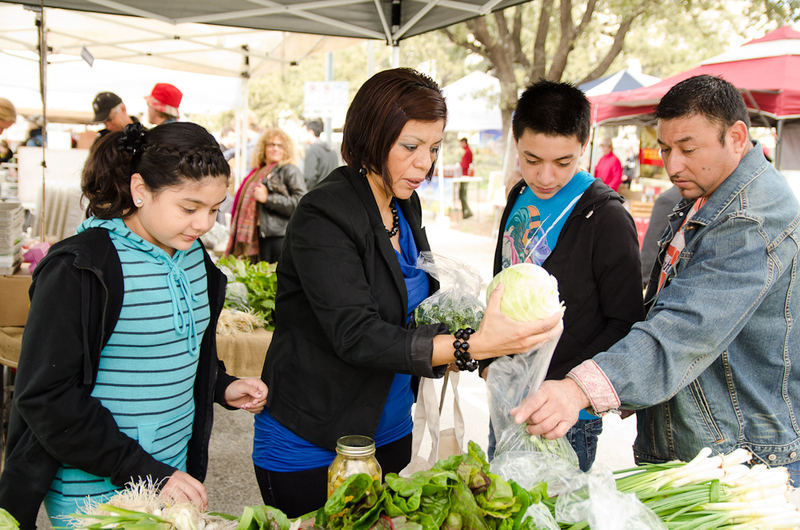 This morning at 9:30am, join us for the Grand Opening of SFC's fourth weekly farmers' market! Speakers include Representative Eddie Rodriguez, Council Member Mike Martinez, James Finck, E.D. of YMCA Austin and Earl Maxwell, CEO of St. David's Foundation. Everyone is welcome, including users of SNAP (Supplemental Nutrition Assistance Program) and WIC cards (Women, Infant and Children) who will receive up to a $10 match on their $10 purchases on fruits and vegetables in the SFC’s Double Dollar Incentive Program. The market also accepts cash and debit cards. The largest portion of the market’s Double Dollar Incentive Program, operations, and marketing are made possible by the St. David’s Foundation, Texas Department of Agriculture, and USDA respectively. Our location is the YMCA East, 5315 Ed Bluestein at the intersection of Highway 183 (Ed Bluestein) and 51st Street. The market provides a shaded picnic area, playground and plenty of free parking. 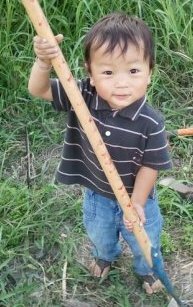 ACTION ALERT: Urge Congress to 1) Reauthorize and expand the Farmers Market Promotion Program and 2) Restore funding to the WIC FMNP (Farmers' Market Nutrition Program). SFC has signed onto the national letter going to Congress urging reinstatement of this funding, and you can too! It is quick and easy. Here's how! It’s always wonderful to hear feedback about our programs from the very people the programs serve. LaTanya M. Tatum recently participated in The Happy Kitchen/La Cocina Alegre™ class at Livestrong for cancer survivors. We were so thrilled to find out she wrote about her experience in her personal blog. 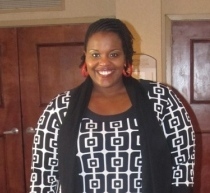 Congratulations to LaTayna for her survivorship and new healthy cooking skills! This year, along with 25 other local Central Texas non-profits, Sustainable Food Center was chosen to participate in 26 for 26, the philanthropy program of the LIVESTRONG Austin Marathon and Half Marathon. What does that mean to our volunteer program? 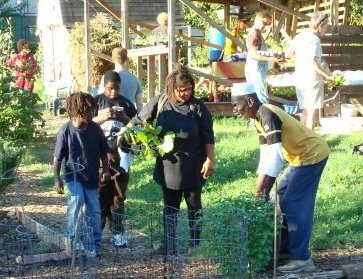 Can you help provide food access to Central Texans in need this spring? FARM TO PLATE MAY 10th Tickets on Sale NOW! SFC's fifth annual Farm to Plate fundraiser features over 25 top local chefs, as well as Central Texas breweries, spirits and wineries. A limited number of tickets remain! Thanks to title sponsors Wheatsville Food Co-op and Barr Mansion, along with our other outstanding sponsors for making this signature event possible. Shop local businesses and support SFC--it's easy! Wheatsville Food Co-op donates 1% of sales each WEDNESDAY in March and EcoClean will be giving 5% of APRIL Wednesday revenue to us. We are grateful for support from Austin Independent School District, City of Sunset Valley, USDA Farmers Market Promotion Program and Cencor Realty Services. 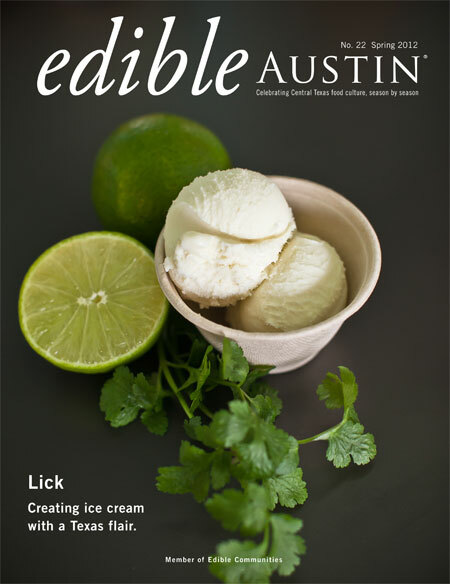 Congratulations to Edible Austin on their 2012 Eddy Awards! And thanks to YOU for voting for SFC as your Local Hero--we're proud to have won in the 2012 nonprofit category.